How To Trade Altcoins On Binance In 2018 | Easy Step-by-Step Guide! In this guide you’ll learn everything you need to know about how to trade altcoins on Binance in 2018. Whatever you’re looking for, Binance is one of the best exchanges I’ve used and it’s a pretty safe option too. However, Binance isn’t that easy to use, so that’s why I’ve created this tutorial. 2. How To Trade Altcoins On Binance. Step 1. Sign Up To Binance. Step 2. Go To Your List Of Crypto Wallets. Step 3. Find Your Altcoin Wallet Address. Step 4. Transfer Cryptocurrency To Your Binance Wallet Address. Step 5. Choose Which Altcoin To Trade. 3. Some Useful Tips For Trading On Binance. 4. Why Transfer Ethereum Instead Of Bitcoin? 7. How To Sig​n Up To Binance. 8. Which Altcoins Are Listed On Binance? 9. How To Keep Your Cryptocurrencies Safe On Binance. 10. FAQs About How To Trade Altcoins On Binance. Q. How much does Binance cost to use? Q. What are the best altcoins to trade on Binance in 2018? Q. How do I trade USD/GBP/Euros on Binance? Q. Where Can I Learn More About How To Trade Altcoins On Binance? Q. I’m New To Investing Cryptocurrency – So I’m Wondering Is It Too Late To Learn How To Trade Altcoins On Binance? Q. Is Binance Secure For Trading Cryptocurrency? With 5 million users, Binance is a really popular cryptocurrency exchange that offers plenty of altcoins to trade with. 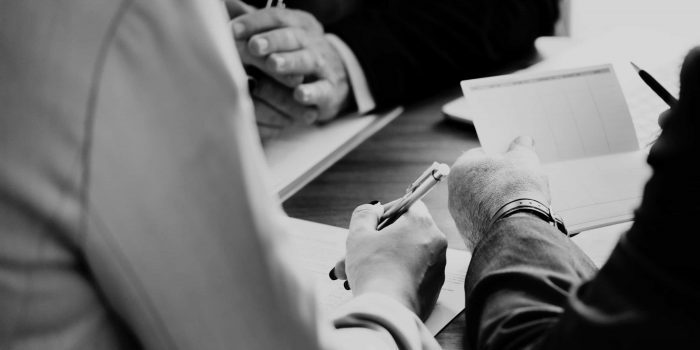 It’s probably the most popular out of the lot along with Bittrex, but there’s a few key differences as you’ll discover below. Now the most important thing to note, is that Binance is perfect for trading. You can read their charts, get live pricing options and setup stop losses/change the amounts you bid. And whilst popular cryptocurrency wallets like Coinbase are great for beginners, they’re not so great for trading altcoins. 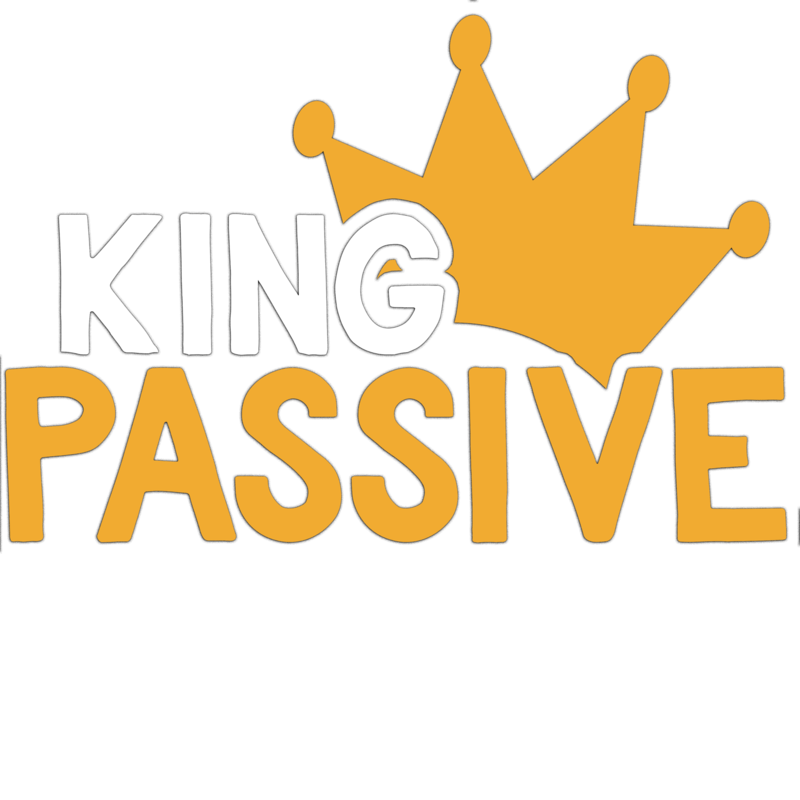 Plus with Binance you get a ton of altcoin trading options to choose from – compared to Coinbase which only has 3 so far. 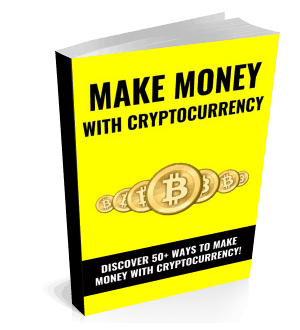 Free: Discover 50 Ways To Make Money With Cryptocurrency! Register for your Binance account & then clicking ‘Register’. Now click the coin you want to deposit from the list (I’d recommend Ethereum because you can easily buy this on Coinbase and it’s fast/cheap to transfer in comparison to Bitcoin). Click ‘deposit’ next to your chosen coin and you’ll now generate a wallet address. 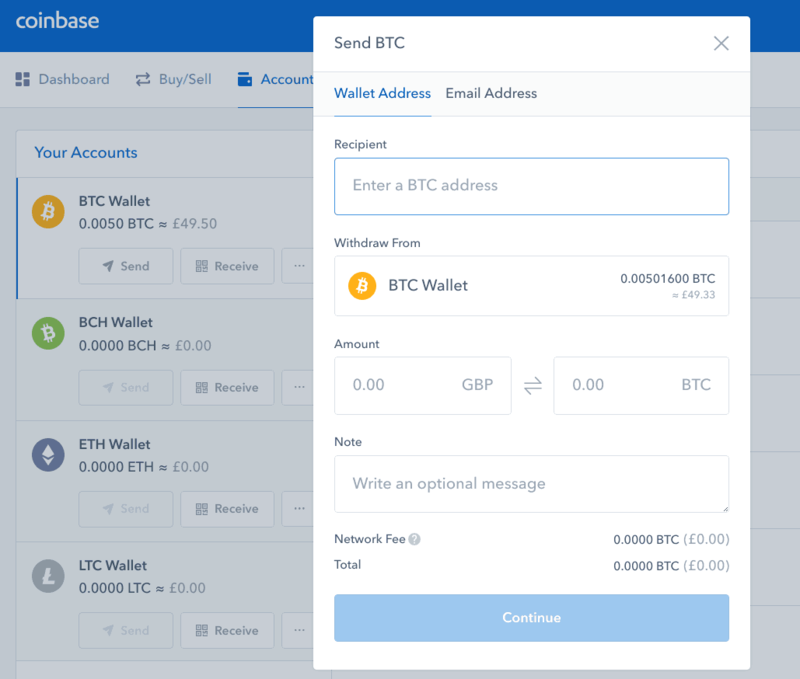 Send the money from Coinbase (or other account) to your wallet. If you want to transfer cryptocurrency from Coinbase to Binance, just click ‘Accounts’ and then ‘Send’ like the screenshot below. Then you can copy and paste in your Binance address. 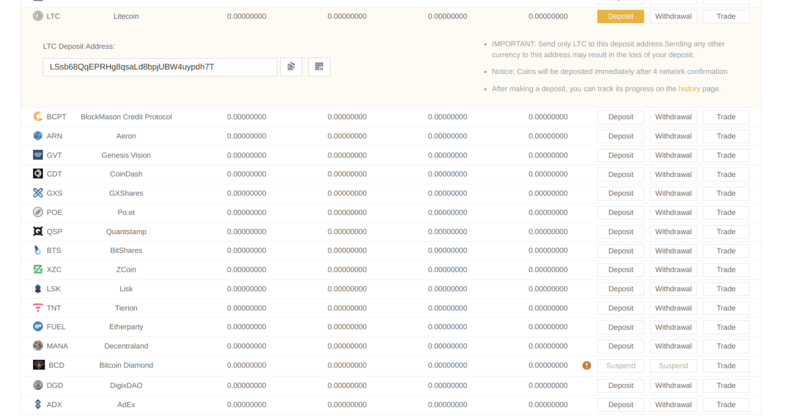 Note: Be very careful when you transfer cryptocurrency to Binance – and make sure you transfer to the right wallet address/currency. This is really important because if you transfer the wrong crypto/send it to the wrong address, you may lose your investment. Make sure you double check it a couple of times to be on the safe side. Also, you might have to wait 20-30 mins for your deposit to arrive in your Binance account. Click the “Basic Exchange” under the “exchange” option of the menu. Here you can choose what to trade. There’s quite a long list so I’d recommend using the search feature to speed your trading up. Once you’re in the exchange, you can start trading the cryptocurrency you’ve deposited into your account. You’ll see a live price chart, a buy/sell option and a stop-limit option to prevent further losses. The exchange may look a little overwhelming at first but it gets easier with practice. When you’re learning how to trade altcoins on Binance, you might find it a little complicated at first to get used to. Once you’ve run through the process a couple of times, it feels a lot easier and as you make more trades, you’ll become more comfortable with the whole process. If you have any questions about how to trade altcoins on Binance, please email me via [email protected] and I’ll be happy to help you. And if you need some crypto tips, check out my list of the best cryptocurrencies in 2018 and my beginners guide on how to make money trading altcoins. You might be wondering why you should transfer Ethereum to Binance instead of Bitcoin right? The truth is, Ethereum is a lot cheaper and faster to transfer compared to Bitcoin. That means you’ll save money and if you need to make a quick trade, Ethereum is going to be much more efficient than Bitcoin. It’s easy to use. Compared to a lot of more technical exchanges like Kraken or Bittrex, Binance is a lot easier to use. They also have an app you can use, so you can trade altcoins on the go. Binance Gives You Plenty Of Altcoins To Trade. Whilst Coinbase let’s you buy Ethereum, Litecoin and Bitcoin, it’s selection is pretty limited. Binance hosts loads of altcoins so you have a lot more choice in terms of what you invest in. And more options = more opportunities to make profits. It’ll Save You Time. Since the end of 2017, other popular exchanges like Bittrex have become so overwhelmed with demand that they’re slowing down and you have to sit around waiting for the page to load. Binance is actually really fast to use and pretty responsive. Security. If you’re investing large amounts of money into altcoins, it’s really important to diversify the exchanges you use – otherwise if one goes down or gets hacked, you’ll lose all your money. Binance is a great option for storing your cryptocurrency long term. It’s Quick To Sign Up. Binance doesn’t require you to use ID verification – you can actually withdraw up to 2 Bitcoins a day (about $30,000 without getting verified). Other crypto exchanges like Bittrex and Coinbase can take quite a long time to get verified. New Altcoins. Exchanges like Bittrex are based in the US – that means they’re more restricted by legal regulations in terms of the altcoins they can host. Binance on the other hand isn’t in the US – so you can expect newer altcoins to be on Binance first before they come to other exchanges. With a load of new ICOs launching in 2018, Binance has the advantage. It can be a little confusing to use. That’s why I’ve created this tutorial on how to trade altcoins on Binance. As always, it’s important to keep your investment safe and protected, whatever cryptocurrency exchange you’re using. If you haven’t already, check out my guide to the best crypto hardware wallets in 2018. If you haven’t bought Bitcoin, Ethereum or Litecoin yet, you can easily do this with Coinbase. Signing up to Binance is pretty simple. You need to be careful when you sign up to Binance because there are some cryptocurrency scammers out there posting a link to a copycat version of Binance – that actually steals your credit card details. Binance has a HUGE choice of altcoins to trade on their exchange – you can check them out here. Unfortunately, there are a lot of hackers and malware problems in the cryptocurrency industry. So whilst you now know how to trade altcoins on Binance, it’s better to take some extra precautions too. – Don’t login to your Binance account on a public Wifi network – because they can easily get hacked. – Enable 2 factor authentication (you can do this in your settings option on Binance) to minimise the risk of someone else logging in to your account. It’ll enable an extra layer of security if your login details are ever compromised. – Even if you don’t do this at first, make sure you get your account verified eventually. – Think about getting a hardware wallet if you’re investing long-term. If you need some help, check out my guide to the best crypto hardware wallets in 2018. A. Signing up to Binance doesn’t cost anything. It’s free to download their app too. However, for every trade you make, they charge 0.1%. For example, companies like Share.com charge as much as £7.50 per trade or 1% of your money and an admin fee of £1.50 per month! The costs of trading stocks are pretty outrageous in comparison to trading cryptocurrency. A. IOTA, OmiseGo and Litecoin are ones to watch out for in 2018 – check out my guide here. Before you invest in any altcoins though, I’d recommend doing your own research first – check out their marketing team, research their technology, read their whitepaper etc. And most importantly, only ever invest in a cryptocurrency you truly believe in! Why? Because if you get into a position where you have to hold your altcoins longterm, you need to be able to confidently stand by it. A. The quick answer is you can’t. Cryptocurrency exchanges like Binance trade in pairs – so for example you’d Bitcoin/Litecoin, Ethereum/ADA etc. 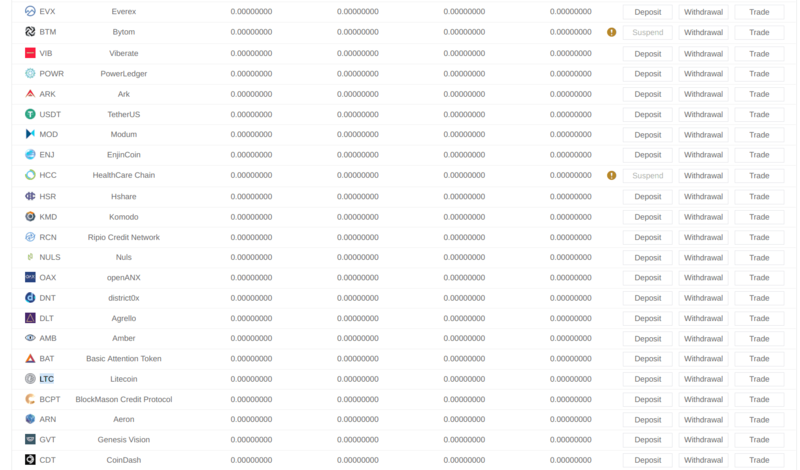 You can’t trade tangible, offline currencies on Binance (or in other words Fiat currencies). A. As a starting point, here's my step by step course about how to start trading cryptocurrency. It teaches you pretty much everything you need to know plus you'll get a 50% discount for a limited time only. If you’re interested in learning more about cryptocurrency, check out my top 7 best crypto books here. A. No…absolutely not! Altcoins will be around for years to come – they’re not going anywhere. A. Binance is one the world’s most trusted exchanges – and it has over 5 million users worldwide. However, you should never leave your crypto in an exchange long term – e.g for 6 months or more. If you want a safe place to store your cryptocurrency for years to come, it’s best to hold your altcoins offline in what’s called a hardware wallet. This guide reviews the best cryptocurrency hardware wallets of 2018.